Disclaimer: educationandbehavior.com has no affiliation with the TCI K-12 Publishing Company. As the author of this article, I am passionate about hands-on learning and multi-sensory approaches, two major components of TCI curriculums. Therefore, I wanted to share TCI with educators who may be interested in incorporating a hands-on/active learning approach to their social studies and science classes. Teachers’ Curriculum Institute (TCI) is a K-12 publishing company that creates interactive/hands-on science and social studies curriculums. The interactive programs enable educators to improve their ability to engage students in a diverse classroom (e.g., students with different learning styles, communication differences, or language differences). TCI utilizes research-based teaching strategies and practices (e.g., multi-sensory approach, cooperative learning, visual aids) that bring education to life. Ready-to-teach lesson presentations, complete student resources, customizable 3-Dimensional assessments, and more.. They consider that for some it is easier to have a physical book. 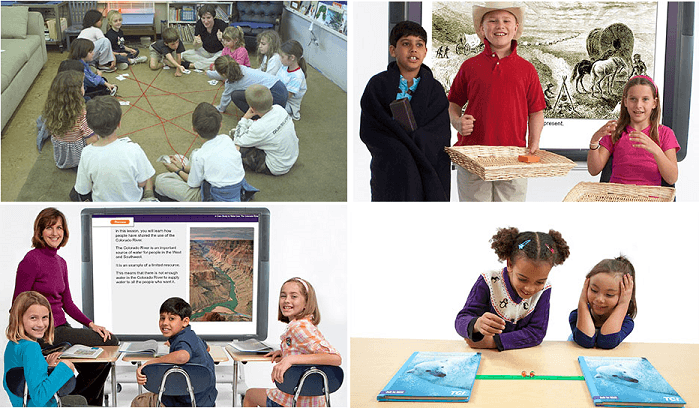 Their bundle makes it easy to keep a 21st-century classroom while using the textbook. Materials & kits are prepared in advance, neatly organized and ready to use. TCI aims for student learning to be memorable and impactful, by including engaging content, meaningful technology and interactive classroom experiences. Of the thousands of districts across the United States that implement TCI, teachers are noting consistently positive outcomes. Read more about what schools have to say about TCI here. 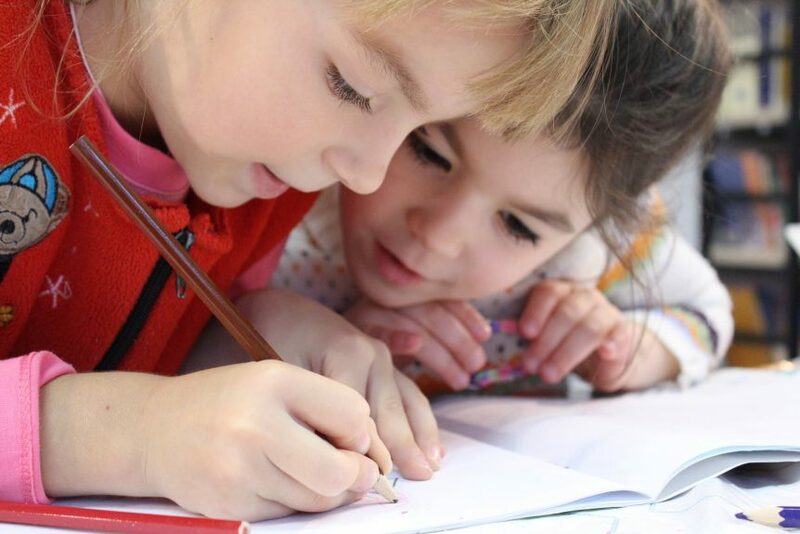 A short, engaging preview activity that connects to personal experiences and prior knowledge, while also building background information and key concepts. Student informational text is presented in digestible “chunks” with consistent vocabulary development and strong visual reinforcement. Graphically organized reading notes in the Interactive Student Notebook focus on student comprehension and retention, helping them make meaning out of what they read. A robust processing activity, selected from the six teaching strategies below, challenges students to apply what they have learned in a variety of creative ways, providing formative assessment data. A carefully designed assessment, which can be fully customized by the teacher, shows where students are succeeding and where they need more instruction. To understand a little more about how a TCI program works, I looked into the curriculum for Social Studies Alive: Our Community and Beyond, which just like all TCI programs, puts a unique, interactive twist on the traditional text book. The program is rich in content, and the chapters are well written and tied to the presented hands-on activities. The chapters also include high interest readings. In Social Studies Alive: Our Community and Beyond, students engage in activities such as pretending they are astronauts launching into space. First they blast off, but receive a message from NASA control stating that they seem to be losing radio contact with the rocket ship, and need to make an emergency landing without NASA’s guidance. Students need to figure out where to land the space shuttle by using their student edition, interactive student notebook, and interactive desk map. They must determine what hemisphere they are in, what continent they should steer the space shuttle towards, what country, what state, and what community. The lessons feel realistic to the students. They get messages from NASA such as, “on our radar we can see that you are heading towards the Western Hemisphere. The Western Hemisphere is correct. Space Shuttle, we’re losing cont…. (as the message cuts out).” Students feel pride landing the space shuttle correctly, and they learn key geographic terms. Thank you for visiting educationandbehavior.com. A free resource to help children in the areas of learning, behavior, and social-emotional development! Follow us on Facebook! Please share this resource! How Does Mindcraft: Education Edition Work? Is it good for students?